Such a beautiful design. Hope you are doing well! Fab as ever Jen, just love your style! Heyyyy I have this stencil! I should try this technique! Thank you for the inspiration. 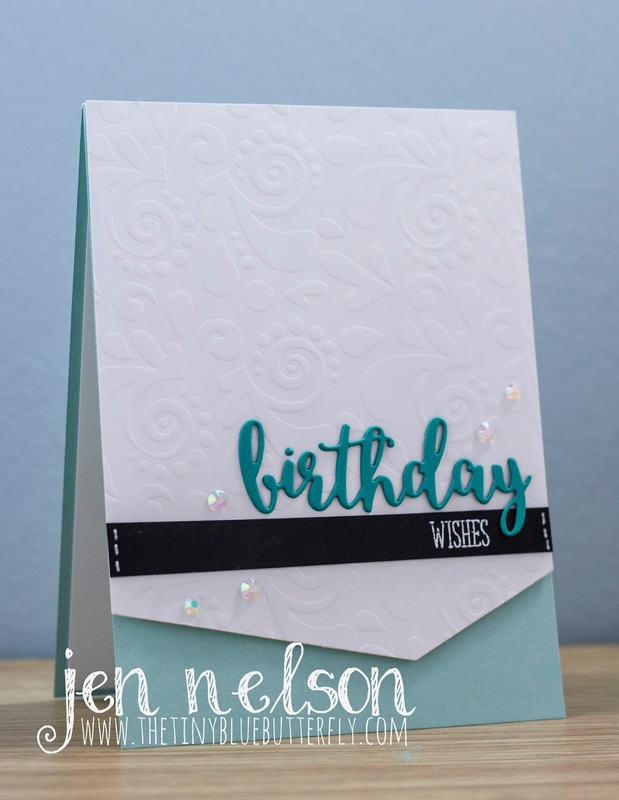 I love the design of your card and the pop of light blue looks wonderful. Thanks for guest designing for us at LIM! Gorgeous card...im off to find out what 'Dry Embossing is, I've never heard of it lol. I do 'normal' Embossing using a EF, is that dry Embossing? I've no idea lol.